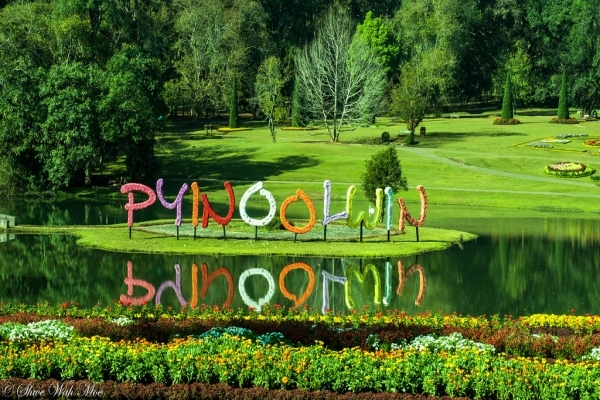 Pyin Oo Lwin , formerly and colloquially referred to as Maymyo, is a scenic hill town in Mandalay Division, Myanmar, Travel to the former British hill station of Pyin Oo Lwin, situated on a plateau 1000m above sea level. Explore the beautiful town by horse and carriage, passing historical houses from the British colonial – era complemented by sweeping views of the natural surroundings. some 67 kilometers (42 mi) east of Mandalay, and at an altitude of 1,070 meters (3510 ft). The town was estimated to have a population of around 255,000 in 2014.